Social media is a great marketing tool as advertising is 24×7 to those who follow or subscribe to a particular account. 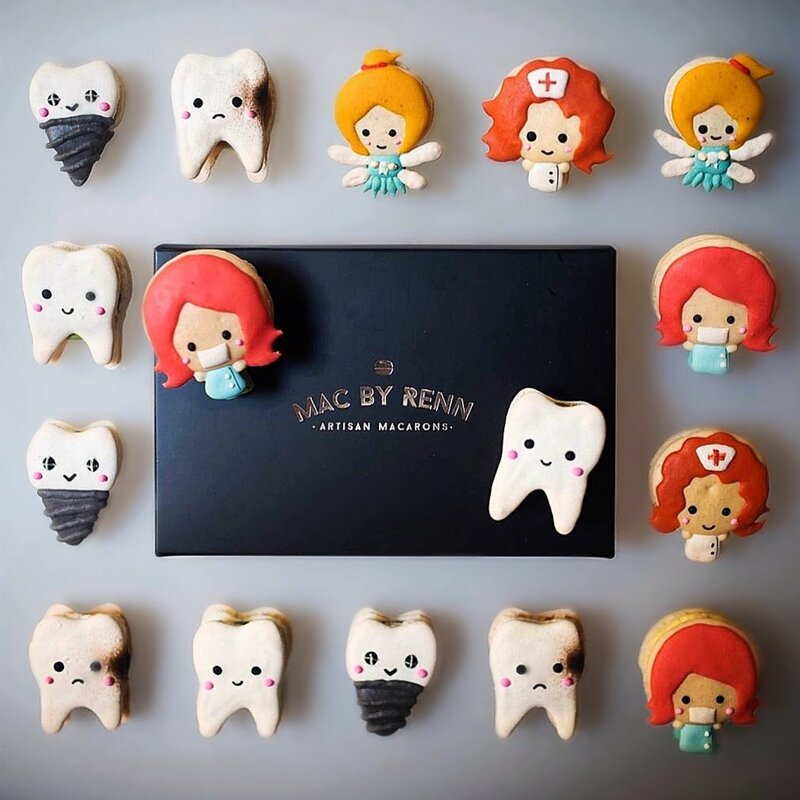 It was through Instagram that we became aware of Mac by Renn, a producer of Artisan macarons. They’re not just any macarons, they come in the form of cute characters, as part of a theme, which makes them visually appealing. There are multiple themes throughout the year with each macaron character coming in their own individual flavour. For owner and creative genius, Renn Yuan, baking started off as a hobby and soon became a labour of love. “Mac by Renn is a product of passion and creativity. I believe that every person should be passionate about something in life, otherwise life is just going to be a boring white canvas without colour on it. While we are known mainly for making cute character macarons, we do take orders for cakes as well.” says Renn. Renn is a man of many talents with a love of drawing, painting and sculpting. When introduced to baking by a friend, it was only natural for him to add some creativity into the mix. “To me, baking is more than just mixing sugar and butter together, it is a powerful storytelling tool, just like writing and painting. Baking, combined with passion and a strong personal conviction can tell an individual’s life story. A cake is not just a cake! And neither is a macaron. All our baked goods are personalised, designed to celebrate a special someone or an event. This is the core value of Mac by Renn. We want to be able to tell your story through our artwork.” says Renn. We were impressed with the presentation of Renn’s macarons, even down to the elegant black boxes they come in. For Renn, every macaron is made to his strict standards so that everyone can truly appreciate the quality of the product. We were fortunate to sample the current Dentistry themed macarons which came in a mix of classic and Asian flavours. The macarons themselves were executed to perfection, each with a crispy coating and a nice chewy texture; the hallmarks of a great macaron. It’s satisfying to know that not only do the macarons look amazing, they taste great too! Mac by Renn occasionally makes an appearance at weekend market stalls and specialised events, but your best bet is to check out their Facebook or Instagram page for contact details. At Adelaide Food Central, we absolutely love their macarons and we can’t wait to see what is in store next.